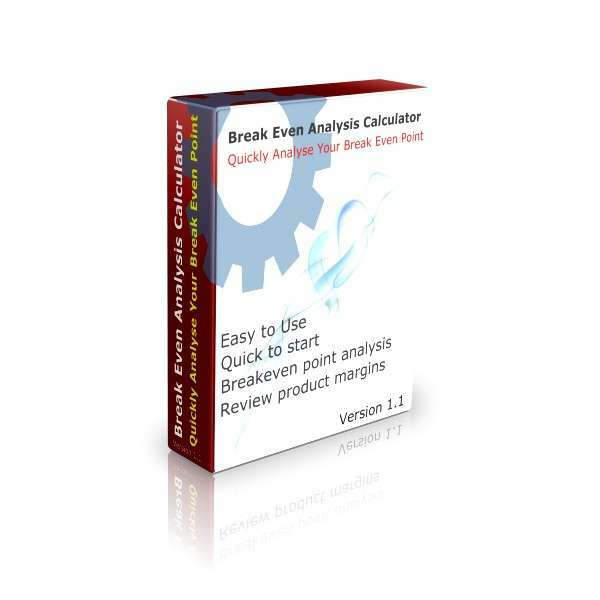 Free Break Even Analysis Calculator - A valuable free business tool for most businesses. Enter up to 100 product lines - A free business tool that can be used by small, medium and large businesses to analyse break even points. Calculate optimum sales for your products - Run as many scenarios as you like, in order to discover the best mix of product sales to achieve break-even point. See the affect of price changes on sales price - See how by changing your sales price, this affects your break even point. See the affect of price changes on cost of sales - See how by changing your cost price, this affects your break even point. What if you stop selling one of your products? Our Break Even Analysis Calculator has this function built in. See the impact on your business by taking out one of your product lines. Easy to use Excel Template based calculator - We've kept things simple, so you'll be up and running in no time with this Excel based template.